In a thrilling match at Rod Laver Arena, Sam Stosur and Zhang Shuai overcome Barbora Strycova and Marketa Vondrousova to reach the Australian Open 2019 final. Sam Stosur has lapped up a moment in the Melbourne Park spotlight, winning through to the Australian Open women’s doubles final with Shuai Zhang. 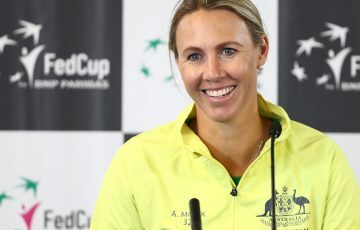 The much-loved Queenslander combined with China’s Zhang for an epic 7-5 4-6 7-5 semifinal triumph over Czech duo Barbora Strycova and Marketa Vondrousova on Wednesday night. The 34-year-old won through in front of a big crowd at Rod Laver Arena after injury cut short Novak Djokovic’s earlier passage to the men’s semifinals. “It just really exciting to be in the final here. That was such a tough match – it was very intense the whole way through. It was long for a doubles match,” Stosur said. “I thought we played great – it was a really good standard of tennis. And just excited to be in the final. 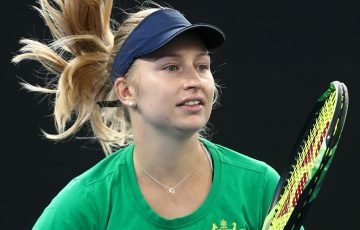 The Czechs raced to a 5-1 lead against an out-of-sorts Stosur and Zhang before the Aussie-Chinese combo settled and began to work their way back. They reeled off six straight games to take the opening set and forged ahead 3-1 in the second, before the Czechs fought back. 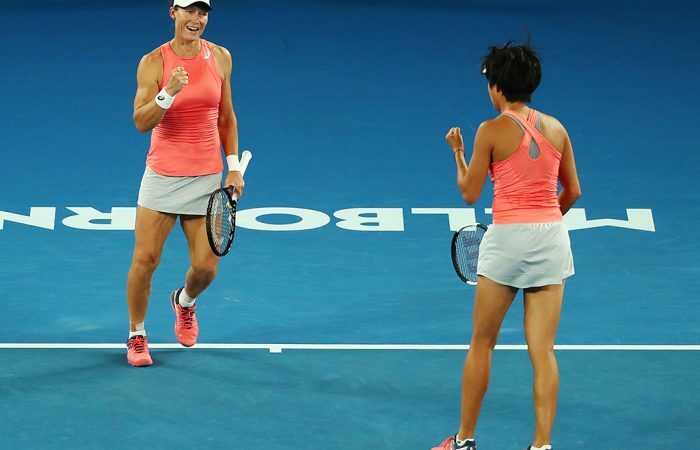 Again, Stosur and Zhang built a healthy lead – this time 4-1 – in the third set before they were pegged back. But they held firm, and, willed on by the vocal crowd, won a succession of thrilling points to seal victory in two hours and 36 minutes. They will face No.2 seeds Timea Babos and Kristina Mladenovic in the final. 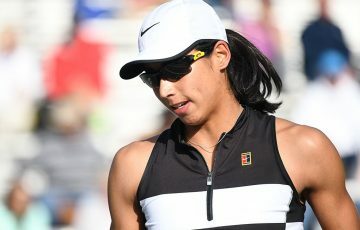 “It’ll be a good chance to try and get one back on them,” said Stosur, referring to the loss she and Zhang suffered to Babos and Mladenovic in last year’s US Open semis. That loss was Stosur and Zhang’s last. Since then they’ve built a nine-match winning streak, taking in the Hong Kong title in October 2018 and their run to the final at Melbourne Park this fortnight. They have won 13 of their past 14 matches. “(Winning) would be amazing. We’ve been playing very well all week. The end of last year we picked up a title, made semis of US Open. 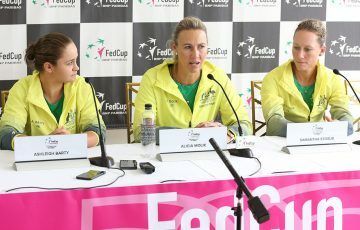 So we’ve been playing well for a long time and I think we’re combining great as a partnership,” Stosur said. “We’ve got full belief in each other and trust on the court. We always back each other and stay positive.